Scott is the Executive Director of 1517 and Adjunct Professor of Theology at Concordia University (Irvine). Dr. Keith is the author of Being Dad: Father as a Picture of God’s Grace. He earned his doctorate from Foundation House Oxford, under the sponsorship of the Graduate Theological Foundation, studying under Dr. James A. Nestingen. Dr. Keith’s research focused on the doctrine of good works in the writings of Philip Melanchthon. Ted is a founder of 1517 and acts as 1517’s Director of Vision and Information Technology. He is an entrepreneur who has created and owned a number of businesses, whose career expertise is focused on design and technology, customer support, logistics and team management. He lives in southern California with his three children and is a member of the Lutheran Church - Missouri Synod. And, yes, he is the son of Dr. Rod Rosenbladt. 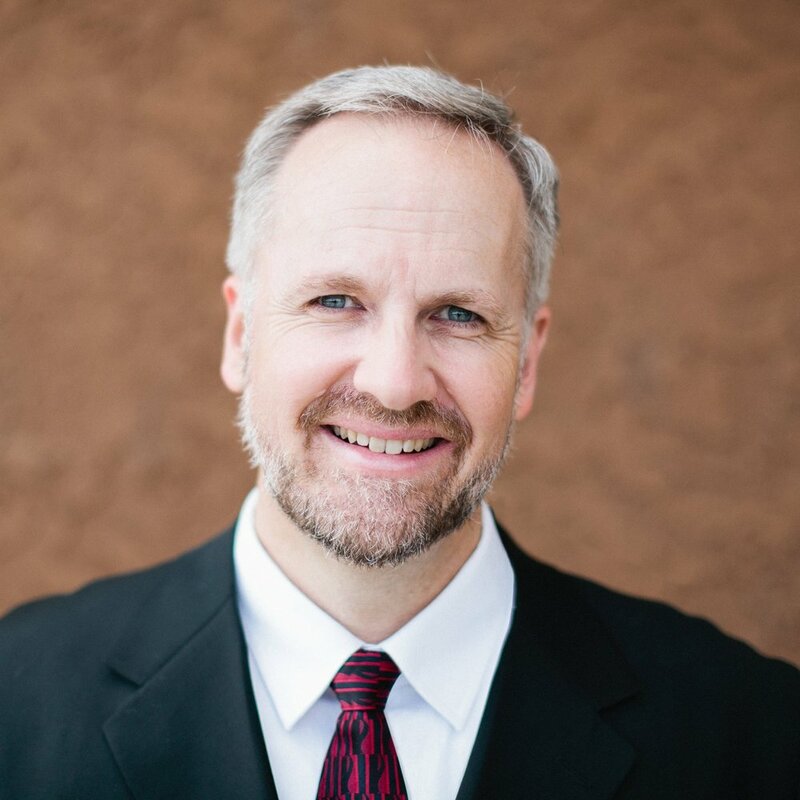 Steve holds a BA in English Literature and History from Concordia University, Irvine and an MA in Biblical Studies from Westimnster Seminary in Escondido. He also spent over 20 years in the graphic arts and printing industry. He handles book publishing for the many projects of 1517. Stacie holds a BA in psychology from Trinity Lutheran College. She has served in alumni relations at two colleges and now serves as the director of constituent relations at 1517. Stacie is married to Jeff and has two boys, Augustin and Aidan, and loves to camp, hike, and read. Dan earned his Ph.D. from the University of St. Andrews, Scotland in the field of history. Before joining 1517, he served as Assistant Dean in the School of Arts and Sciences at Concordia University (Irvine), as well as Associate Professor of History. He is the author of Monsters: Addiction, Hope, Ex-Girlfriends and Other Dangerous Things, and continues in his roles as co-host of the Virtue in the Wasteland podcast, co-host of the Soul of Christianity podcast, and Academic Dean of the 1517 Academy. Lana earned her BA in Vocal Music from Moody Bible Institute, and served in South Florida church music for over 25 years as lead vocalist, choir & orchestra director, vocal instructor, and department administrator. She has worked with large conferences and events coordinating talent, logistics, and operations. Acutely aware of her need for a great Savior, and gratefully rescued and forgiven on account of Jesus, Lana is honored to arrange and manage events for 1517 speakers and authors as they share the transforming Gospel of Jesus Christ with as many people as possible! Caleb holds a BA in theology and classical languages from Concordia University (Irvine) and is currently pursuing an MA in systematic theology from the University of Nottingham. Besides directing the 1517 Podcasts network, he is the producer of the Thinking Fellows podcast, and is a contributor at 1517. Scott has worked as a Recording Engineer and Broadcast/TV Audio mixer in and throughout Hollywood for most of his career. "I wanted to bring the unique, first-order (“for you”) preaching style of the Lutheran reformation to our local airwaves." With the guidance and support of 1517, Scott’s vision grew into the concept for the You Are Forgiven radio show. You Are Forgiven features several area pastors, and aims to proclaim the gospel locally via radio, and worldwide through the internet. Doug is the Creative Director for 1517. He is also a travel and portrait photographer based in Dallas, TX. He sees Luther's rediscovery of God's beauty during the Reformation as a tool to be used in the modern day marketplace of ideas. Daniel is the Director of Christ Hold Fast, an author, church and conference speaker, co-host of the podcasts 40 Minutes in the Old Testament and 30 Minutes in the New Testament, and leader of the interactive online Bible Study For Normies. He has served as a church planter, pastor and worship leader and currently lives in Bentonville, Arkansas with his wife Jessica and daughter Anna.